The Crown Prince works on a wide range of environmental issues, and is interested in the environmental aspects of development efforts, technology and innovation. He is involved in particular in activities relating to the health of the oceans and polar issues. The health of the earth and the oceans affects all of us. The Crown Prince wants to see people around the world living in solidarity with regard to environmental issues. He is also concerned that those who have been struggling the most, the most vulnerable people and regions in the world, will be hardest hit by the negative impacts of climate change. They will have to deal with the effects of drought and flooding, which forces people to flee their homes, destroys societies, and makes it difficult to grow food. This is often the topic of the field trips taken by the Crown Prince with UNDP. "We must make wise use of our resources – both in the sea and on land – so as not to destroy the environment for future generations. The Crown Prince is concerned about sustainability in a global perspective: We must make wise use of our resources – both in the sea and on land – so as not to destroy the environment for future generations. The Crown Prince is optimistic about technology. He has confidence that new things created today for the future will incorporate environmental perspectives as a natural component that will help us along the way. The Crown Prince is interested in promoting young entrepreneurs who work within this perspective and in following up more traditional industries whose activities also increasingly include a sustainability perspective. The Crown Prince often participates in large conferences on this topic, but he is just as interested in talking with individuals and visiting small groups that are trying to find smart solutions to our global challenges. The Crown Prince grew up in a family in which sailing was always an important activity, so his strong relationship with the sea was established at an early age. As a teenager he developed a passion for surfing, and then for wakeboarding and kiteboarding. The sea is an important source of recreation and renewed energy for the Crown Prince. As the Crown Prince of Norway, he is also concerned about the sea as the vast, major resource it has always been for Norway. As a result, the health of the oceans is of great interest to him. 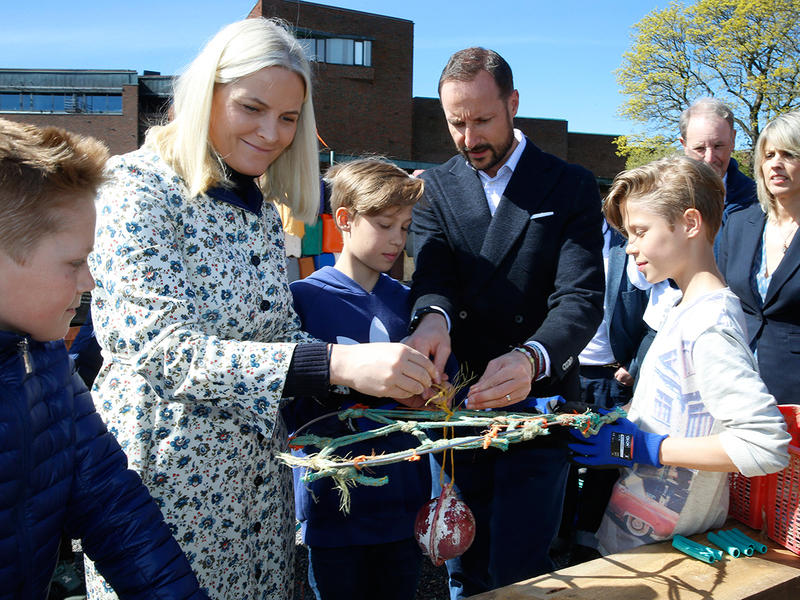 The Crown Prince had the opportunity to study some of these issues when he took part in a Royal polar expedition to Svalbard and Greenland together with Crown Princess Victoria of Sweden and Crown Prince Frederik of Denmark. 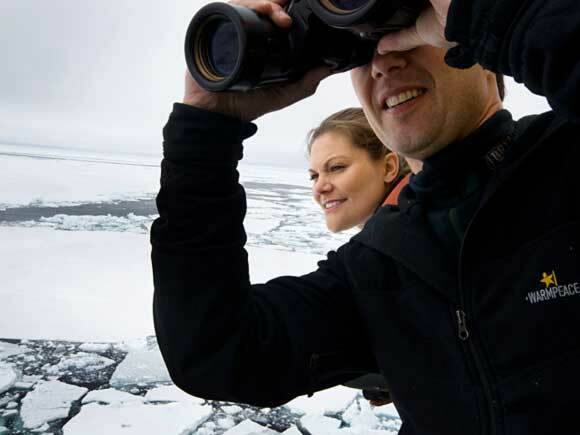 The heirs to the Scandinavian thrones took part in a polar expedition on the ice-breaker Oden – to learn about and bring attention to climate change. Photo: Veronica Melå, The Royal Court. The following year they published the book “Royal Polar Expedition”. The polar and Arctic themes were highlighted again when the Crown Prince and Crown Princess visited the research vessel Lance outside of Svalbard in 2015.